As per a market report, there were more than 318,000 healthcare mobile apps in the App Stores, with around 200 apps adding to this number every single day. Also, the digital health market is expected to hit 206 billion U.S dollars of revenue by 2020. These numbers are a true indication that the market for mobile health apps is growing rapidly and it is the right time to invest in app development for healthcare. The foremost reason why considering mobile app development for healthcare is a great deal is accessibility. From finding a medical specialist or hospital nearby to booking/postponing a consultation, sending/receiving medical files, and performing further procedures, the mHealth apps have amped up all the processes and made it available to everyone without involving any intermediaries. Mobile technology in the healthcare sector has put the concept of keeping manual records to an end. It has enabled the doctors and other healthcare service providers to create, view and manage the healthcare medical records online, which can be accessed on any device and any time by passing the right authentication process. Also, it has put the fear of misplacement of any record to an end by storing the whole record on a single platform and securing it with the best security practices. 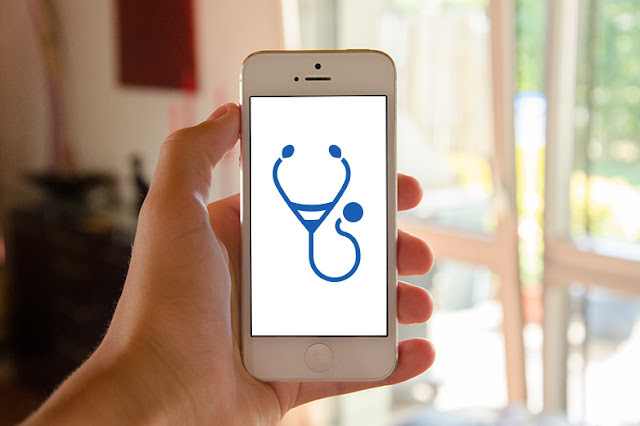 Healthcare mobile applications have simplified the communication process. Rather than booking another consultation or giving a call at the reception to connect with the doctors for any guidance/query, the patients can directly communicate with them on the mobile platform. They can share pictures and other file types to facilitate better communication and get the right guidance at the right time. 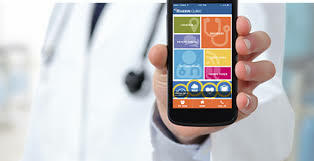 Besides, these mobile apps are integrated with Chatbots that responds to multiple patients at the same time and answer their Frequently asked questions, which cut down the workload of the medical service providers as well as provide a seamless experience to the patients. Another advantage of investing in healthcare app development is that they have lower down the risk of frauds and errors in the healthcare realm. These apps have automated the whole process and added transparency to it, which has made it easier for both the patients and doctors to remain updated with what’s happening and respond when something goes wrong or found suspicious. In addition to this, mHealth apps are slowly and gradually embracing Blockchain technology which implies the data stored on these platforms will be publicly accessible but will be immutable. Thus, the data will remain safe and secure. Mobile health applications have streamlined the payment process. Now, one need not keep a manual record of all the payment instalments or struggle with the situation of running out of cash. One can easily pay the consultation fee, medical bills, and other expenses with a few taps on their app and using integrated digital wallets. Mobile healthcare apps have also bridged the gap between those living in remote areas and the recognized doctors operating in urban areas. The technology has helped the doctors to connect with the patients and consult them without stepping out of their clinics/hospitals which have cut down the efforts, time and cost involved and has improved the health quality in total. Apart from connecting patients and doctors and simplifying the overall process, the health and fitness applications are also helping the users to keep themselves fit and healthy at their end. In simpler words, these apps enable users to store their personal healthcare information on the platform, analyze their overall health score, and look into how to improve their health state. Two popular apps that fall in this category are:- Sugar Sense and Zombie, Run!. These apps have reduced the manual work and made it possible to have in-house communication in real-time. This has helped the healthcare service providers to easily plan their day and get access to the resources and tools they need without inquiring about their availability repeatedly, which has eventually uplifted their productivity level. By automating a major fraction of the healthcare processes including consultation and medical record sharing, the healthcare mobile apps have lower down the hidden costs and the associated hassle. This has brought a major impact on the costing factor, making the healthcare services easily accessible to everyone at many economical prices. Last but not least, these apps uplift your brand presence in numerous ways. They enable you to come across a wider audience by being available on App Store/Play Store and by using cutting-edge technologies like GPS, Beacon, and IoT (Internet of Things). These apps help you with understanding the changing market scenarios and optimize your processes accordingly, which eventually helps you in gaining higher profits. So, here were the different ways mobile apps are influencing the healthcare sector. Considering the same, what is your next move? Are you interesting in investing in app development for healthcare business? Or you still have any queries? Share in the comment section below.